Hi y’all! I’m Becca and I am the Travel Coordinator for Epperly Travel. I grew up in Gainesville, Florida and I graduated from the University of Florida in 2016 with a degree in Event Management. Growing up, I rarely traveled outside of my home state, and to this day, I have never been out of the country. It wasn’t until last year that I really caught the travel bug when I traveled the country for work full time. 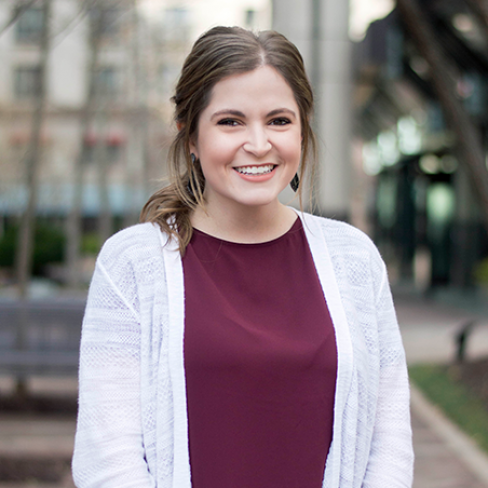 After gaining a lot of planning experience and living out of a suitcase for a year, it only made sense that when I moved to Atlanta, I found myself interested in working for Epperly Travel! I have been a member of the team since 2017, and I have loved every second. I very much enjoy being a part of both the big picture vision and the narrowed down details for clients’ trip. I love creating a wonderful experience for someone who has been dreaming of visiting a particular destination or someone who is traveling somewhere new to celebrate one of life’s wonderful moments. I have always been considered a major softie by all who know me and my sentimental nature shows through the most when I feel like I have helped in some way to make someone’s dreams become a reality! It is incredible to me how much of an impact seeing new sites and making new memories can have on a person’s life, and I feel very fortunate to be able to witness this impact everyday at Epperly Travel. I grew up dancing and teaching dance, and after planning many events over the past few years, I have been able to express my creativity through various outlets. I also grew up being an organizational nerd, loving color-coding, lists, and spreadsheets much more than the average person. Add all of this together and you’ve got a girl who loves coming to work everyday to dream up itineraries, coordinate trip logistics, create master itineraries, interact with clients and suppliers, and more. The heart of our clients is the same heart that we strive to have everyday – one of compassion and excitement. At Epperly Travel, we believe in celebrating both the little things and the big things in life, and we hope you’ll allow us to be a part of your next celebration!